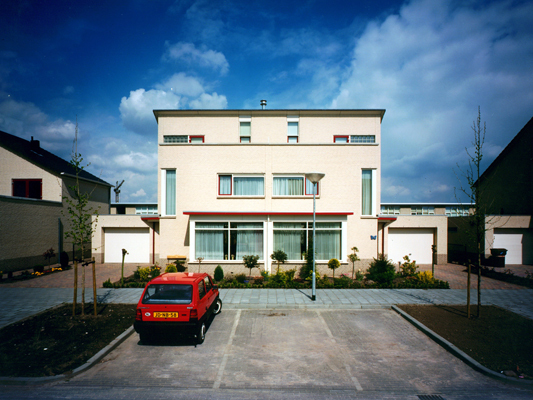 Basic design was the start for ten houses for ten different clients. The houses give a great architectural entirety, but at the same time the all have the personal touch for the clients. 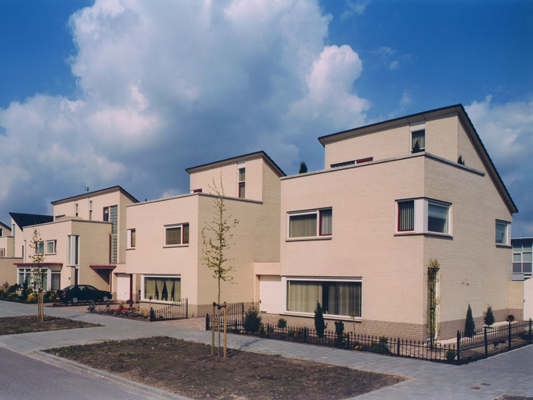 The plan is located is a new residential part of Breda, the Netherlands, All ten clients bought their own piece of land. 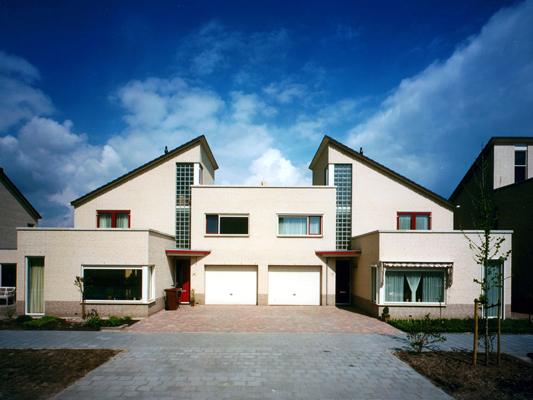 The houses are made 'two-under-one-roof' in which every house has its own character. Because of the large properties (12 meters wide) the front of the buildings is narrower than the back; the entrances are al made in the wide 'back' part of the building. 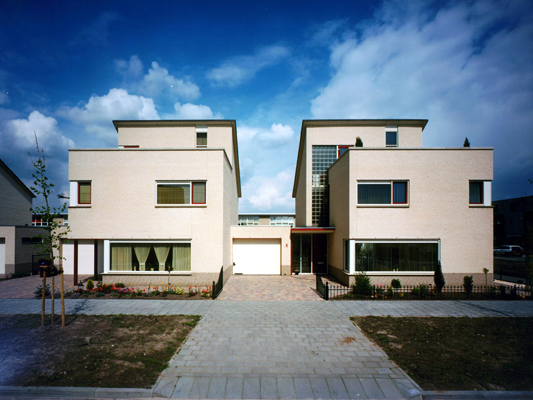 The houses are made in tradition Dutch construction method, with al light yellow masonry with white windows and glass bricks at the entrance and the stairways. This so the light can enter these usually 'dark' rooms. At the front side, on the first or second floor we made a terrace behind up going masonry. The roofing is made of anthracite flat roofing-tiles. A unique way of ten clients making their wishes comes true in one complete project.